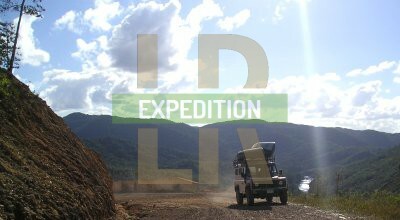 Hopefully you will be able to get a taste of expeditions with Land Rovers around the world. I am trying to collate resources of current and past expeditions using Land Rovers, technical articles and to empower you to feel the buzz of using a Land Rover as it's meant to be! And now something about me... I've been using Land Rover Defenders since 2007. Two years and 14,000 miles of which I used them in support of expeditions in Belize and Ghana, where I caught the Land Rover bug! I have used Defender 300Tdi/2.8TGV/Td5/2.4 Tdci Hard top and Station Wagon 110s, and have found them to be incredibly capable and intricate machines as well as a valuable tool in the jungle environments I have worked in. I became interested in the workings of Land Rovers and found the mechanics to be typically British in design and functionality, not least because they kept breaking down(!). Running two Land Rovers with regular off road usage took their toll on the ageing old machines and things were constantly going wrong. Trying to juggle a maintenance budget and get the best repair possible, I started wanting to know more and more about things I could do myself. I've since broken down in Botswana and Spain too! Being half way round the world, the Internet was a prime source for advice and knowledge to undertake simple tasks: changing universal joints, lights, shock absorbers, brake pads, servicing, but it would take a lot of my time trying to find how to do things the best way. I found some amazingly detailed technical guides on various forums after a lot of digging and would really have liked all the information centralised to make it easier to find the good, useful stuff. So that's where this site was born. It's themed around expeditions because that's the only way I know how to use Land Rovers. The 9-5 commute is not something I could use one for. 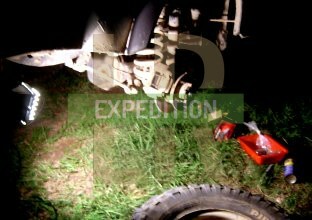 I have continued working for expedition companies, but in more of a UK setting. I currently own two Defenders and they take up quite a lot of my time, as well as keeping a toe in the expedition world. I'm in the process of fixing and kitting them out and dream of having fun around the world, whenever that may be. I run this site on that dream, to help others fulfil theirs and those who have to help inspire everyone else.